In my current capacity as Reviews Editor, I’d like to highlight in this post some of the new fiction that Africa in Words hopes to engage with in the coming months. While this list is by no means exhaustive and we will continue to add new, exciting titles (particularly from small presses) as they become available, it points to some of the forthcoming publications you’ll want to mark on your calendar. 2013 saw a number of powerhouse publications from writers from Africa and the diaspora, including Chimamanda Adichie’s Americanah, Taiye Selasi’s Ghana Must Go, and NoViolet Bulawayo’s We Need New Names. (Bulawayo was shortlisted for the Man Booker Prize and several days ago was announced as the winner of the Etisalat Prize for Literature.) With their narratives divided between cities in the US and Africa, these works have been referred to as “Afropolitan novels” by some, and have sparked debate about African literature’s increasing transnationalism. As the Africa Report observes, “African writers telling stories about life outside the continent is a growing theme.” Crime fiction writer Kwei Quartey chimes in, “Looks like it’s hip to be an African writer in 2014, particularly in the diaspora”. This year promises another crop of significant talent, including new work by established writers Zoe Wicomb and Dinaw Mengestu. Wicomb’s October will be released next week on March 4 by Umuzi. 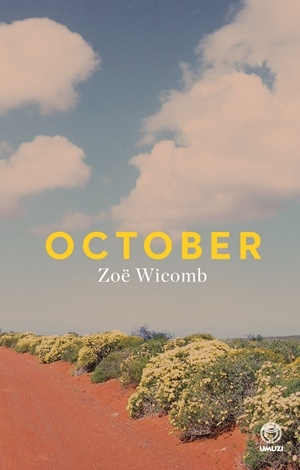 Like the so-called “Afropolitan novels” above, October considers issues of homecoming and return, in this case from Scotland, where the protagonist has resided for the past 25 years, to South Africa following the abrupt departure of her long-term partner. 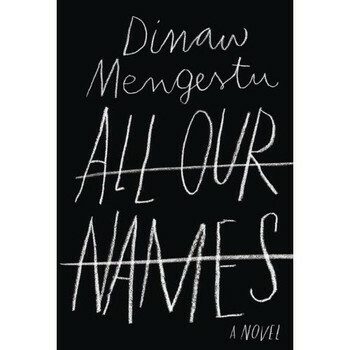 Mengestu’s third novel, All Our Names (Knopf, Mar. 4), also straddles continents, moving between the growing tumult of post-independence Uganda and 1970s Middle America, where one of its protagonists takes refuge – and falls in love with an American woman. Several titles newly available in the US and the UK are also republications of work previously published on the continent. Ivan Vladislavic’s The Restless Supermarket, originally published in South Africa by David Philip in 2001, will be released by And Other Stories, a grassroots press, in April. Every Day is For the Thief, Teju Cole’s 2007 novel published by Cassava Republic Press, will hit shelves in the US and UK in March (Random House). This, of course, following the massive success of Cole’s Open City in 2011. While the latter is set primarily in New York City, Every Day chronicles a young, New York-based Nigerian’s first trip home to Lagos in 15 years, painting a portrait of the city and the changes it has undergone since he left. As both the trajectory of Cole’s publication history and his protagonists’ itineraries suggest, the route to success for African writers often still runs through North America’s publishing centers. 2014 will also continue the trend of new offerings in African genre fiction, including Kwei Quartey’s latest Inspector Darko Dawson mystery, Murder at Cape Three Points (Soho Crime, Mar. 18), and Wanjiku wa Ngugi’s “international thriller” The Fall of Saints (Atria Books, Feb. 25).The crime fiction trend shows few signs of slowing; Parrésia Publishers Ltd. and Helon Habila have recently launched Cordite, a new imprint for “Pan-African crime and spy fiction” out of Lagos. Cordite is currently seeking manuscripts from African writers, who must not only be citizens of an African country but must currently reside there, as part of its Crime Competition. First prize is a publishing contract and a $1,000 advance on royalties. In addition to crime, there is also a surge of interest in African science fiction and fantasy. Nnedi Okorafor, who won the World Fantasy Award for her novel Who Fears Death in 2011, seeks to follow upon this success with Lagoon (April 10), the first of three books that she will publish with Hodder & Stoughton. Lagoon chronicles the aftermath of an alien invasion of Lagos and was inspired, in part, by Okorafor’s reaction to the negative stereotyping of Nigerians in South African sci-fi film District 9. Okorafor is also aware of her own positionality, as a writer living and working outside of the continent, as is evident from her meditations on her novel’s title in an interview with Kola Tubosun: “I was originally going to call it Lagos. But then I could just hear certain Nigerians snarking, ‘Who is this American Nigerian to have the nerve to name her novel after my city?’ I wasn’t in the mood for that conversation, so I translated the word ‘lagos’ to the English meaning of it name. ‘Lagos’ means ‘lagoon’ in Portuguese”. South African Sarah Lotz, who writes speculative fiction with Louis Greenberg under the pseudonym S. L. Grey, will release her novel The Three in May. Spanning several continents, this thriller begins with four simultaneous plane crashes, but only three (child) survivors. A short video trailer for the book can be viewed here: http://www.thethreebook.com/. Now in its fifteenth year, the Caine Prize will announce its shortlist in April and its winner in July. The new volume of short stories will be available in August. This year, however, the Caine Prize will have some competition itself. Also in April, Africa39 – a project for the Port Harcourt Book Fair spearheaded by Binyavanga Wainaina – will announce its list of the 39 most promising writers under 40 in Africa and the diaspora. The project aims to “produce a possible snapshot of our shared African future”, and the resulting anthology titled Africa39: New Writing from Africa south of the Sahara will be edited by Ellah Allfrey and Wole Soyinka (Bloomsbury, USA) and released in October. Overall, there is a lot to look forward to in terms of African fiction in 2014. While more and more work from Africa and the diaspora is finding a place in the catalogues of US and UK publishers, exciting new endeavors like Cordite and Africa39 are also emerging and working to re-center the African continent in future literary production. So much to read! Looking forward to it.